Have you lost photos on your Android and you looking for a software to recover Android photo? Do not be devastated there is a way out. In this article, we will show you retrieve photos on Android using the best Android photo recovery software and mention other Android photo recovery alternatives. Tenoshare Android Data recovery is the best android photo recovery software that you can ever install on your device. This Android data recovery software not only restores photos but also contacts, call history, messages, videos, audios, and WhatsApp from your phone internal memory and also SD card. It is compatible with different Android devices of different versions such as: Google Nexus. aLG, Smsung, Sony, TECNO among others. It is built with a free preview feature. You can flexibly recover data by selecting data types. It designed with deep recovery mode for comprehensive recovery of files. In this part, we can now look at how to retrieve lost photos on an Android phone using Tenorshare Android Data Recovery software. Step 1: After installing the Android photo recovery software, you can now open it. From there, connect your Android phone to the computer using a USB cable. Ensure you enable the USB debugging so that the program can detect your Android device. Next, you have to allow super authorization and then select the lost data types that you want from your phone. For this case, just mark on "Photos" to save time but you can still mark on other data types and move to the next step. On the new window that appears, enable "Scan" button and the Android photo recovery button will begin scanning lost files from your Android device. The progress will take at most 5 minutes depending on the amount of data retrieved. The recovered photos and any other type of data marked in step 2, will be displayed on the program window. You can now have a quick preview of the files to check on quality before saving them on your computer. Finally, click on "Recover" button and you will have your photos saved on your computer on them on your computer. There are also other alternatives photo recovery on Android that you can check online other than Tenorshare Android photo recovery. Check them out below. You can also use EaseUS Mobile data recovery software that support data types like photos, contacts, messages, videos, music and documents from your Android device. With EaseUS Mobile photo recovery software, you will retrieve data from Android phones that are running Android 2.3 to the latest 8.0 version. This Android phones could be Samsung, Google, Sony, HTC, LG among others. Moreover, EaseUS Mobile data recovery software support data lost in different scenarios like: virus attack, deletion, broken device, formatting and others. It can recover a lot of things that you have lost from your phone or external memory. It can recover files from Android internal memory and SD card. It cannot retrieve lost WhatsApp data. Disk Drill Android Data recovery software is another reliable Android photo recovery software. 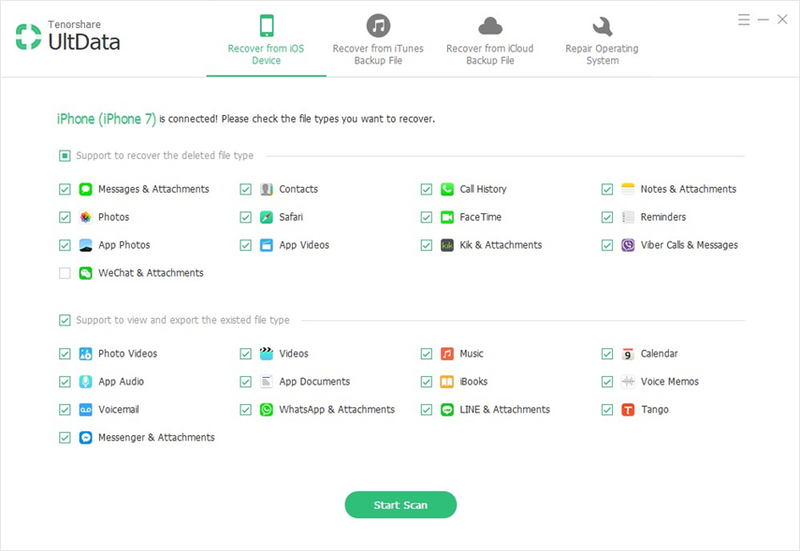 This software not only support recovery of photos but also contact, archives, messages documents, call logs and custom file your Android device. The process of recovering files is simple since it involves only three steps. It can retrieve data loss in different cases like: deletion, formatting, virus attack, SD card corruption among others. It is expensive compared to other Android photo recovery software. 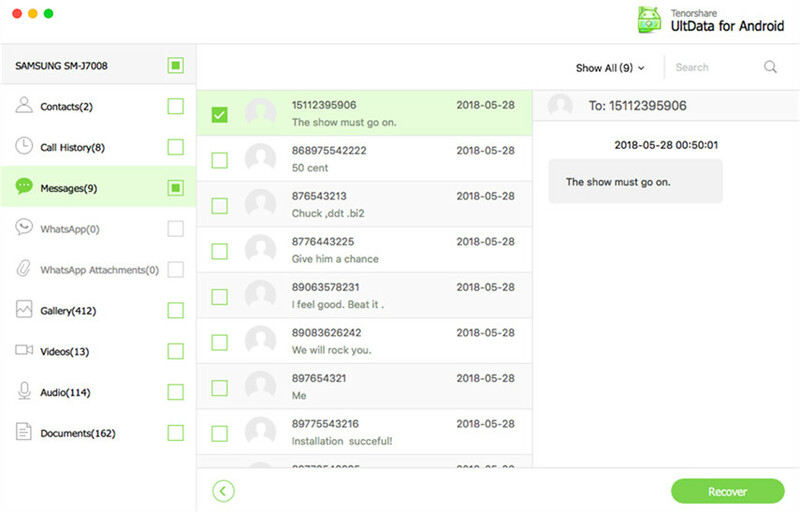 There is also MiniTool Mobile Recovery software that allows you to recover media data like: Photo, WhatsApp photos, videos, audios and text data like: messages and documents. You may have lost these kind of data through accidental deletion, virus attack, formatting, system crash OS error and other but you can still retrieve them. Moreover, this software has a well-organized user interface that is easy to navigate and retrieve data. It can retrieve data lost when rooting device. It supports a wide variety of Android devices. It can recover files from phone and SD card. 	Work on few Android devices only. 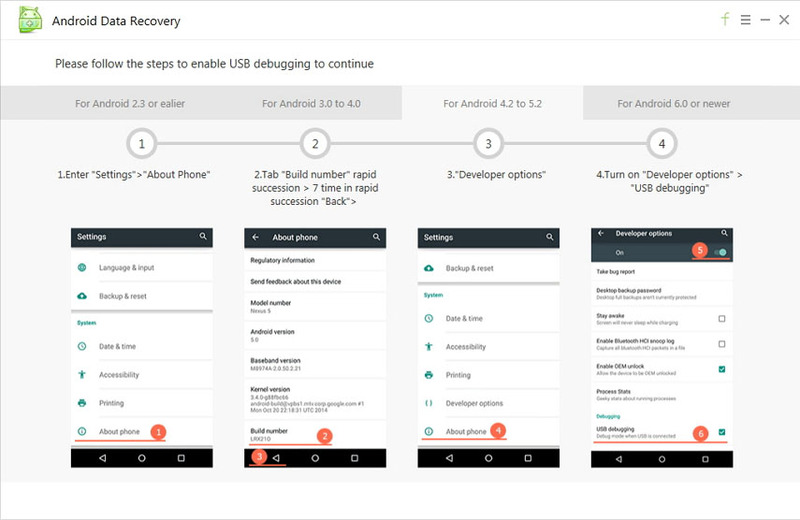 From this article, we see that Android picture recovery is possible no matter the situation how you lost it. Different software offers different features. When it comes to paid version, you can go for Tenorshare Android photo recovery since it is relatively cheap with great functionalities. Try out this software and recover your photos easily.